Naaa!!! It is like $300 LESS than that! 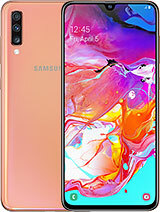 This phone is around 500$! !it doesn't worth!!!! 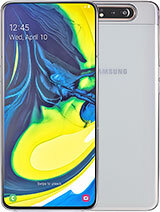 we think this is a wicked phone and that we cant wait to get it!!!!!!!!!!!!! i just want to know how much is it in Australia? 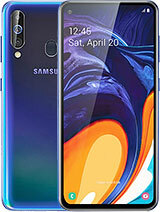 umm..hello.. i am from singapore... can i know if samsung s100 will be releasing in singapore.. if yes... when will it be released...because i really love this phone.... its cool.. This isn't an A300! Much better phone here! a300? s'alright i suppose. My only gripe is that when u enter a new number, it asks for a location number, now, unless you're some sort of mind reader and know where ALL your contacts are stored; how are you supposed to key in a location No. if nothings in order? Megan, The only difference between the s100 and s105 is that the 105 doesn't come with a data cable to transfer images and stuff. It is a Tmobile locked phone but is easy to unlock. The external display has a blue backlight and when seen under a light source, reflects with a bright green hologramish glow. 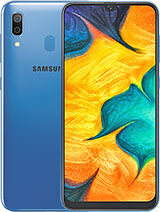 i'm interested in this phone. i have 2 questions though. what is the difference between the s100 and s105? also is the external display a blue color or that green color? i hope someone can answer my questions and email with the answers. I have only used the slim battery that comes with it. It does also come with an extended battery which is slightly larger. The battery life is exelent compared to my nokia 8290. Considering its color screen and polyphonics...it's amazing. One thing I did notice is that it actualy heats up a bit like a laptop when you use the wap browser for a while. Any opinions on the batterylife? www.gsmarena.com seems to have the wrong info about that. Jamo, you stupid red neck. Anyway, this phone is cool. Keep it up Samsung!!! Jamo... I am from Colorado and I honestly don't care what they eat over in Korea. It doesn't have much to do with this phone. 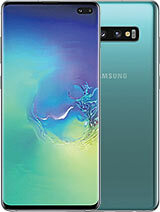 What I have seen however is that you use the same post about all the samsung phones. They eat dogs, you eat pigs....which are more intelegent than dogs anyway...who cares? Yea I'm a vegeterian and always have been. Not because I love animals, but because I hate plants! Why do you insist in being a racist? What different cultures eat is their own business. Do you think that pigs and cows have less a feeling than dogs? If so does that justify the west for consuming pigs and cows? What is your problem Jamo? U are obviously a closet Nazi, probably a homo but at the same time a homophobe. My friend, you need to get help. Sorry to INNOVA, I am a non-NOKIA user!, I am not a KOREAN to use dogs'meat in every meal. Maybe you do not agree with me only 'cause you have no experience of using cell phone. I think, the cell phones made from Korea is the same as made from CHINA. INOVA, please think of the dogs eaten day after day!